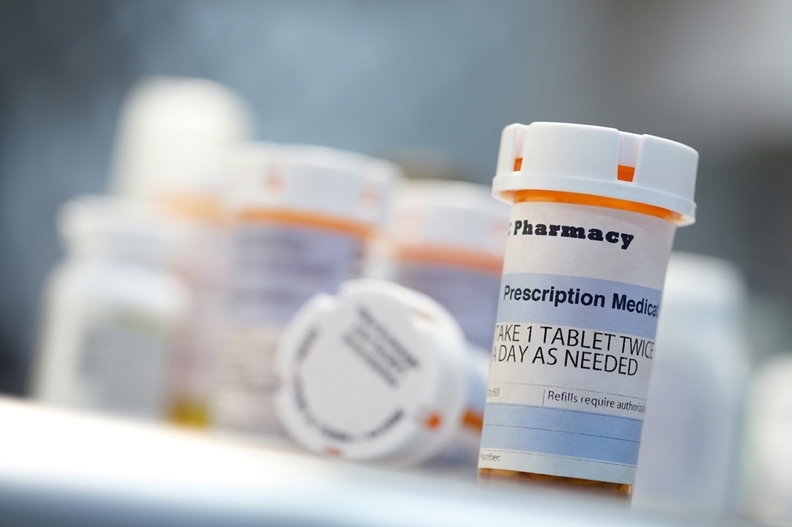 Physicians are prescribing fewer opioids and tracking prescriptions with greater frequency to address potential misuse, according to the American Medical Association. The numbers arrived in a report that appears to serve as an argument against proposed legislation that would impose federal mandates on clinical practices, such as limiting the number of days worth of an opioid that physicians can prescribe, or requiring physicians to use state prescription drug monitoring programs. The legislation, which would put a three-day limit on initial opioid prescription for acute pain, is part of the proposed Comprehensive Addiction and Recovery Act 2.0 introduced last February by a bipartisan group of senators that is a follow-up to the Comprehensive Addiction and Recovery Act signed into law in 2016. The proposed measure was based on prescribing guidelines issues by the Centers for Disease Control and Prevention in 2016 that stated three days should be sufficient when prescribing opioids for acute pain and that prescribing a seven-day supply would "rarely be needed." A number of physician advocacy groups, including the American Medical Association, have expressed concerns that such proposals apply a "one-size-fits-all" approach to an issue that a number of states have already taken action on in partnership with organized medical organizations. As of November 2017, approximately 28 states had enacted policies designed to reduce the number of opioids physicians can prescribe, of those states, 23 have imposed limits on the length of prescriptions for acute pain. "We believe the best strategy is for states in partnership with organized medicine to decide what is best for the states rather than a one-size-fits-all limit or policy," said Dr. Patrice Harris, chair of the AMA's Opioid Task Force. Many have cited opioid overprescribing by clinicians as a major driver of the current epidemic. Healthcare providers wrote approximately 250 million opioid prescriptions in 2012, according to the CDC, enough to provide a bottle of pills to every American adult. But Harris said physicians have made progress toward improving prescribing habits, which is reflected by a 22% decline in opioid prescriptions between 2013 and 2017, from 251 million to 191 million according to the AMA report. "I believe coordination and collaboration within the physician community and with our external stakeholders are going a long way to reverse the epidemic," Harris said. The report found more than 1.5 million physicians and other healthcare professionals were registered in state-run prescription-drug-monitoring programs in 2017 compared to about 241,000 in 2014. PDMPs monitor, collect and store data on prescriptions that clinicians can use to either flag physician overprescribing or a patient who seeks multiple prescriptions, known commonly as doctor shopping. A 2016 study published in Health Affairs found a 30% decline in prescribing of opioids among 24 states from 2001 to 2010 after they began operating PDMPs. Yet in a 2014 survey, only 53% of primary care physicians reported they used the PDMP despite 72% being aware they exist. Many advocates have called for states to impose mandates that require healthcare professionals to check the PDMP when prescribing opioids. To date, 25 states have such requirements. CARA 2.0 would require physicians and pharmacists to use their state PDMP upon prescribing or dispensing opioids. The AMA, as well as other physician organizations have been opposed to imposing mandates on physicians, such as the ones requiring doctors to check PDMPs. Harris said the increase in PDMP use was found in all states whether or not they had a mandate. "What really impacts use is that they are user-friendly, they are integrated into a physician's workflow, and they have real-time, up-to-date actionable information," Harris said. "Those are the things we know that increases PDMP use." Despite the successes outlined in the report, Harris acknowledged that the opioid epidemic remains one of the country's greatest public health concerns, as the number of drug overdose deaths continues to rise. Opioids involved in more than 42,000 drug overdose deaths in 2016, according to the CDC. Harris called for public and private payers to ensure all forms of medication-assisted treatment are available without prior authorization, and for regulators to increase oversight and enforcement of mental health and substance use disorders parity laws to ensure patients receive greater access to care. "What is needed now is a concerted effort to greatly expand access to high quality care for pain and for substance use disorders," Harris said. "Unless and until we do that, this epidemic will not end."